Image: Mduduzi Ndzingi ANC secretary-general Ace Magashule says he met with former president Jacob Zuma over organisational issues. 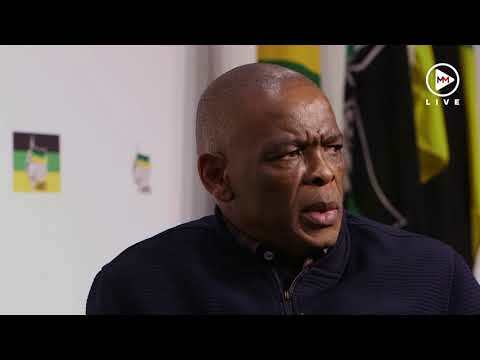 ANC secretary-general Ace Magashule has vowed to continue meeting with former president Jacob Zuma, although he seemingly contradicted himself on the reasons for their meeting. Magashule initially told Sowetan on Tuesday at Luthuli House that he met Zuma because he wanted to raise organisational matters including Zuma participating in ANC activities. He also added that Zuma had also indicated that he wanted to meet with him. He later said the meeting took place as he wanted to raise his concerns with Zuma. "It is not a sin and it will never be a sin to meet any leader of the ANC, even president Zuma. I think people are so worried about president Zuma that if you meet with him there is something you do," he said. This latest development comes after the Sunday Times reported at the weekend that Zuma, Magashule, former ANC North West chairman Supra Mahumapelo, ANC Women's League secretary-general Meokgo Matuba and ANC Youth League KwaZulu-Natal secretary Thanduxolo Sabelo, held a clandestine meeting at the Maharani hotel in Durban, on Thursday, where they allegedly discussed a plot to unseat Ramaphosa. Former SAA board chairwoman Dudu Myeni was also said to have attended the controversial meeting which has raised eye brows that Zuma and his backers are working behind the scenes to undermine Ramaphosa. Magashule revealed that he explained to Ramaphosa and other officials about the allegations during a meeting on Monday. "We had an officials meeting and I engaged on this matter. People were fine with the fact that I met president Zuma. I had to clarify certain things. There were also advices as to how we should deal with matters of the organization," he said. Magashule, a known die-hard Zuma supporter, insisted that ANC leaders had no problem with him meeting with Zuma. "We did not meet at a secret place. I can assure the collective there is no way I will plot against president of the ANC as he has been elected like me. If you say 'a vote of no confidence in Ramaphosa' you are saying vote of no confidence in me. I can't vote myself out." Magashule said only ANC branches can remove Ramaphosa, and that it was just a coincidence that Mahumapelo, Matuba, Sabelo and Myeni attended the meeting. In a surprise move yesterday, Sabelo and Matuba vowed to defend Ramaphosa. Sabelo, who is campaigning to be the ANC Youth League president, denied that he was part of the meeting. "I was outside (the hotel) and I met the SG (Magashule) outside. If there is a plot to unseat the sitting president, the ANC youth league will not part be of it. In fact I will lead the process to stop it by mobilizing young people," he said. Matuba said the ANCWL was pushing for Ramaphosa and Zuma to work together. "We believe that these are the leaders of the ANC who must work together to better the lives of our people," Matuba said.